CanadaVet.com Blog: The $13M Cat - That's the cat's wiskers! News from Europe is that Tommaso, a four-year-old, one-time stray from Rome is now the world's richest cat after he inherited $13 Million (€10m) last month. Move over Donald Trump, since the death of his 94-year-old owner Tommaso has become a real estate millionaire with homes worth an estimated €10m across Italy. In a handwritten will, Tommaso's mistress — the childless widow of a successful builder — gave her lawyers the task of identifying "the animal welfare body or association to which to leave the inheritance and the task of looking after the cat Tommaso". 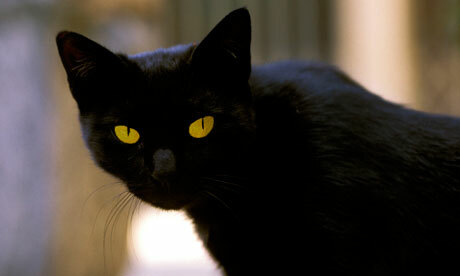 The richest cat was previously thought to be Blackie, who was left £9m by his reclusive British owner in 1988. But the fortune pales by comparison with that of Gunther IV, an Alsatian dog who inherited from his father Gunther III, the pet of a German countess. According to media reports, he is worth around $372m!